This paper examines how transport costs and pollution taxes both jointly determine the location of production in a spatial framework. In a two-region model, a firm produces a dirty good through a single production plant in one region and serves consumers in both regions. Production, which causes local pollution, is subject to some pollution tax. Furthermore, the firm has to incur transport costs in order to serve consumers in the other region. Using factory level data for the Indian manufacturing sector for the year 2011–2012, I find evidence that both these factors play a significant role in firm location decision. States with relatively stringent environmental regulations are less attractive for plant location. On the contrary, the impact of transport infrastructure is dependent on the level of soft means of communication. Effective means of communication networks reduce the need for transport infrastructure. Apparently, communication networks act as a substitute for effective transport infrastructure. However, this does not hold true for the sub-sample of highly polluting industries. 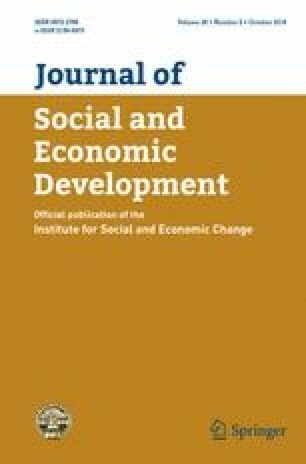 I am immensely grateful to two anonymous referees and the editor of the Journal for Social and Economic Development for their insightful comments on the research article.